Why do we have Learning Ranger volunteers and what do they do? 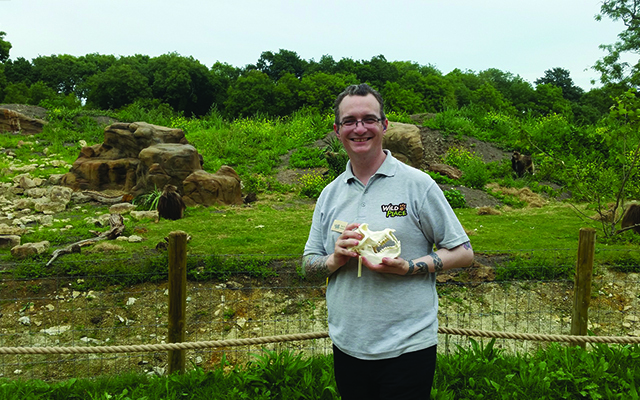 We want our guests to have a great day out when they visit us; our learning ranger volunteers really make a difference by being welcoming and giving our guests the opportunity to ask questions, and having some amazing fun facts up their sleeve! Learning Ranger volunteers spend their time in our lemur walkthrough & giraffe exhibit and around our other animals such as wolves, gelada, cheetah and okapi where they engage informally with our guests, helping to answer questions and helping us to make sure both guests and animals are behaving themselves! Easy face painting designs can be an extra skill to learn too! Friendly confident people, who are at ease speaking to guests and able to relate to all ages. We’re not looking for experts, just an interest in wildlife and conservation, and of course, people! We look for volunteers who are flexible, enjoy learning new things and keeping up to date. People who want to learn how to do easy face painting designs. Reliability and regular attendance. We ask you to commit to either a morning or afternoon shift, on a regular day each week that suits you. The morning shift runs from 10am until 1.30pm, and the afternoon shift runs from 1pm until 4.45pm (these times are slightly reduced in the winter). Spend quality time away from work or a busy lifestyle. Gain a valuable insight into our conservation work. Expand your knowledge of wildlife and conservation. Enhance your communication and customer service skills. Express your interest today! Click here to download an editable Expression of Interest form.